We are here to support you and your patients. We look forward to working closely with you to provide comprehensive care for your patients. 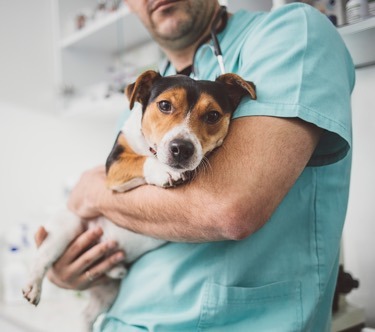 At East End Veterinary Center, we make it a priority to work in conjunction with you and your team on any procedures and evaluations involving your patients. Our goal is to complement your services by providing an experienced team of veterinary specialists for your patients, all conveniently under one roof. With state-of-the-art equipment, advanced diagnostic capabilities, and an unmatched expertise, we hope to develop a mutually beneficial relationship with you that enhances the quality of care you already offer your patients. We value your opinion and encourage you to become as involved as possible while your patient is under our care. Preferred and easiest way to refer! At East End Veterinary Center, we want to support the amazing care that you already provide to your patients. This is why we offer robust Lunch & Learn opportunities to you and your staff. Our specialists are prepared to visit your hospital with lunch in tow for all attendees and provide a lecture on a topic of your choosing. We have many topics for you and your staff to pick from and can tailor most to align with any special requests. Contact us to schedule a Lunch and Learn with a member of our staff. We send out a referring community newsletter periodically that provides pertinent news and information regarding upcoming events, the hospital and our growing staff. We are always evolving to provide the highest quality care for your patients. If you’d like to hear from us, please take a moment to subscribe to our newsletter and stay up-to-date on all news at East End Veterinary Center.